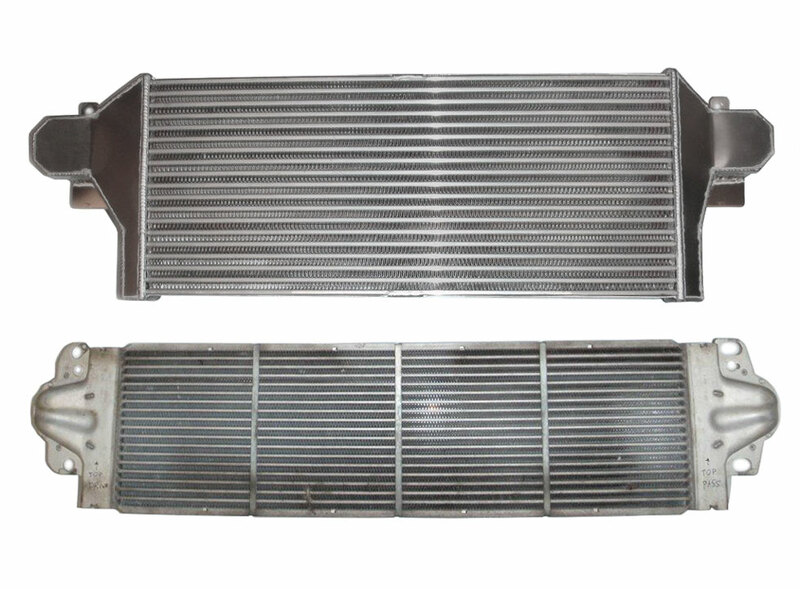 Uprated front mounting intercooler for the VW T5 bus or van variants. 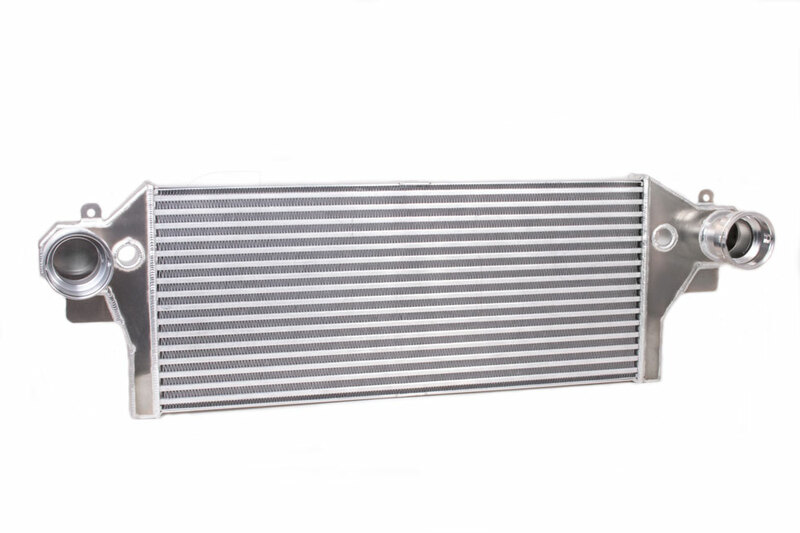 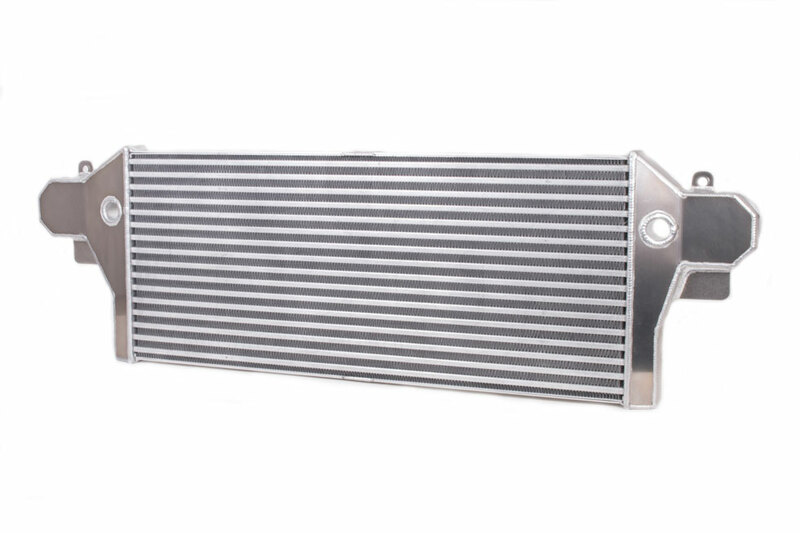 Although significantly larger than the original intercooler this unit is a direct plug in replacement requiring no additional hoses or pipework. 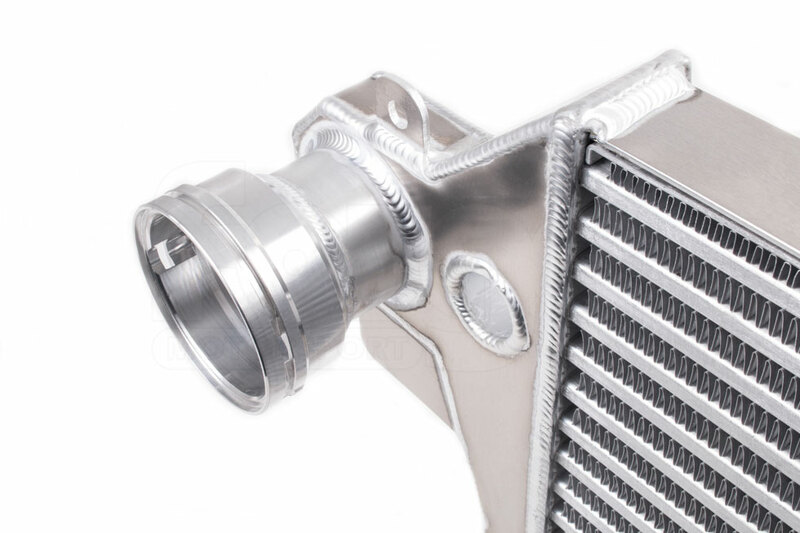 With a larger front cross sectional area the cooling / power recovery is improved. 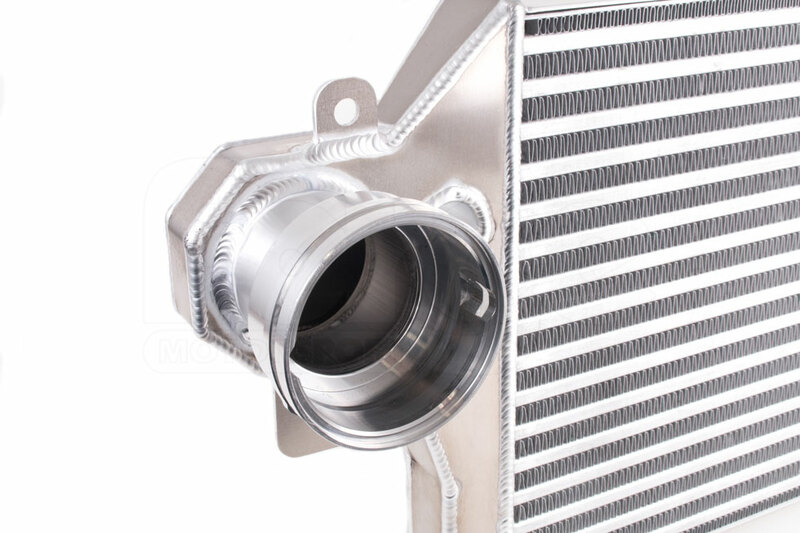 The unit offers a lower resistance, compared to OEM without adding turbo lag. 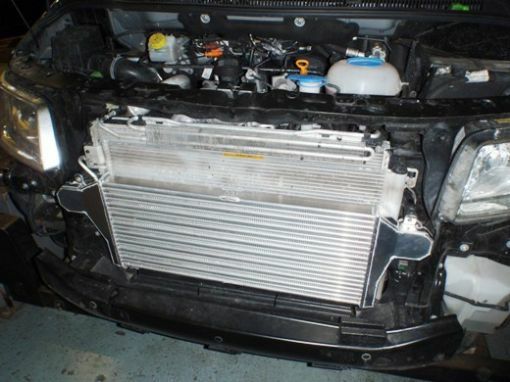 On our own van we gained 10hp and 20 ft/lbs of torque with just the intercooler and all who drive the vehicle since the installation have commented on how better it feels.